One can never have enough stamps can they? And it is always fun to round out your collection with designs that are interesting and unique. If, like me, you tend to gravitate towards a certain type of stamp (I am always getting flowers, and now cats too), looking for other types of images can help you create some new and exciting cards or scrap book pages. My one sort of "rule" right now is to not buy any wood mounted stamps, I don't want the wood, I am unmounting all of my mounted stamps, and well, if the image does not come unmounted it is not going to come in my door. One reason is the storage (I have a very small craft area), and another reason is that the images are just so much easier to find when they are unmounted and stored in CD cases (at least I have found that to be true). 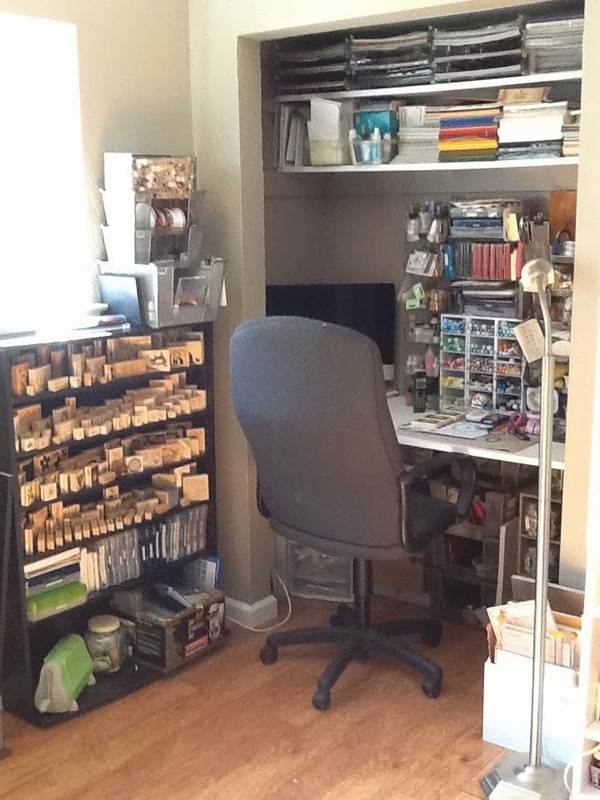 And, last, but not least, I always pull out a ton of stamps when I am creating a card, and it is not such a big problem to have three or four CD cases on my desk, but it does become a problem when I have three or four boxes of wood mounted stamps (no room left to stamp). So, here are some stamp companies you might not have heard of, offering some really interesting and unique stamps, be brave and try something new : ) If you have a company that sells unique stamps, please let us know! Onyx Expressions: This link is to their full plate of images, and you can choose to have your stamps not only mounted on the Ez Mount, but also cut out for you (small charge). There are some very unique images here, and the prices are pretty good. Click around to the home page to find other great images they have. Pink Cat: This is a link to their farm animal stamps, and a build it yourself barn! Check out all of their stamps, really cute, especially their retro and the cat stamps, oh, and the women in art stamps are cool too. Used Rubber Stamps: Great prices on some used stamps, some hard to find stamps, and some that are very unique. I always click around by Stamp Company here to see what has been added. Innovative Stamp Creations: Wow! I was on this site forever. There is a huge selection of all sorts of stamps, I really liked this art frame set, and their prices are pretty good too. Oh, and check out their blog to see how their images have been used on some amazing cards. Ok, that should keep you busy for a while. I even did a few cards today! Simple ones, not too many layers, but they came out ok, will take pictures and post them tomorrow. I too have unmounted my stamps and I love it! It frees up so much space. By the way, what is your email addy so I can make sure your email doesn't go in my spam folder? Thanks for sharing your talent and all the wonderful links and tips you find! Your blog is one that I check out first everyday! You have one of the best and most informative blogs I have ever come acrossed. All I can say is WOW!